Usually, silver is manufactured into 1 ounce rounds or coins. 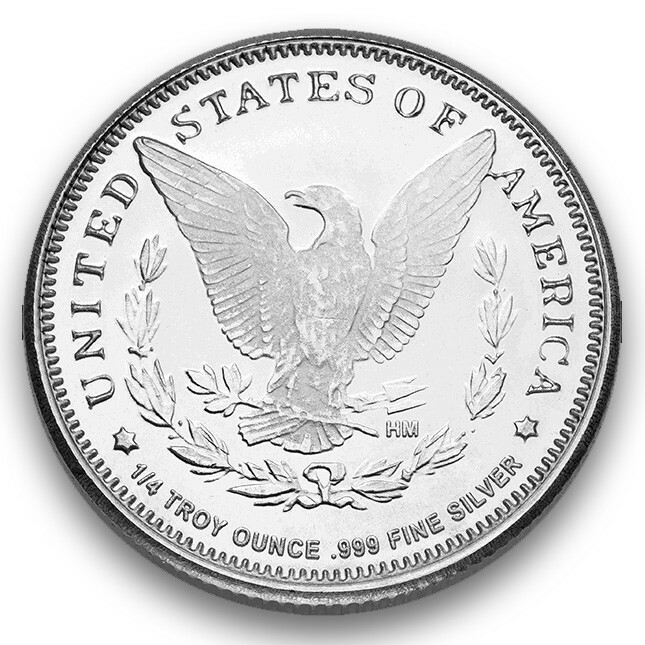 Much of the silver produced for investing purposes fits this description (like American Silver Eagles) but this round is only 1/4 an ounce. This 50% difference in size gives is some unique attributes. Weighs a minimum of 1/4 troy ounce. Made of .999 fine silver bullion. Manufactured by the Highland Mint in the USA. The design is based off the famous Silver Morgan Dollar. Most importantly to many investors, this 1/4 ounce size gives you 100% more fine grain control when it comes time to sell. This control is very important to investors who believe the spot price of silver will be much higher in the future. Having greater control means you can decide how much silver you’d like to sell at a any one time. Additionally, if you’re investing on a really tight budget, the 1/4 ounce size lets you purchase more often. The round also makes for a wonderful gift. The small size means it's less expensive than a full ounce. This is especially helpful if you’re buying gifts in bulk. It’s also a great way to introduce someone to silver money or for someone starting off their collection. On the front of the round is showcased Anna Willess Williams of Philadelphia. 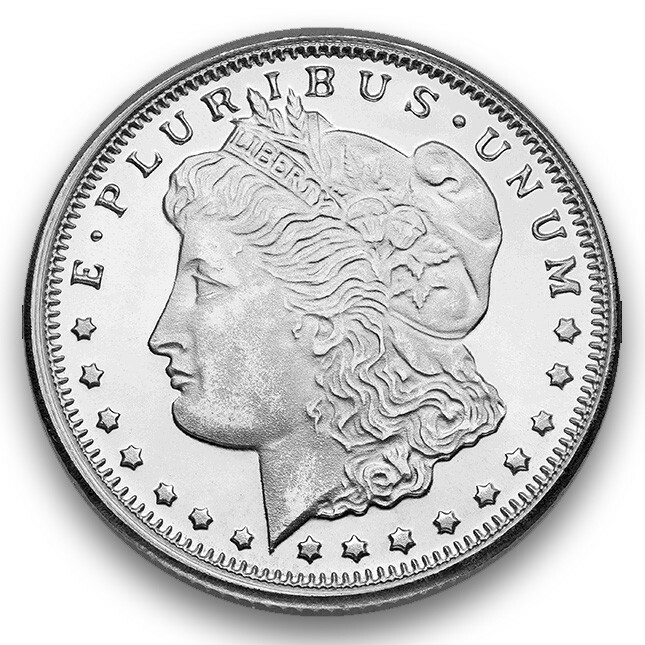 The designer of the Morgan Dollar chose an American woman rather than the typical Ancient Greek depictions. Above her is the text “E PLURIBUS UNUM”, meaning ‘out of many, one’ from latin which refers to the original 13 American colonies which banded together to form the United States. On the back of the round shows the American Eagle front and center with his wings outstretched about to take off. In its talons he clutches the symbolic arrows and olive branch (representing war and peace). Around the eagle is a wreath. On the coin appear the words “UNITED STATES OF AMERICA”, “HM” (the manufacturer's mark for Highland Mint), & “1/4 TROY OUNCE .999 FINE SILVER” which specifies the weight, purity (99.9%) and metal type respectively.